HOW PALM OIL PRODUCTION IS TIED TO ECOCIDE IN GUATEMALA | "Global Possibilities"
The cultivation of palm oil is responsible for polluted rivers, vanishing forests and the displacement of communities. Early on June 6, communities along the once tranquil La Pasión River in northern Guatemala awoke to find tens of thousands of dead fish floating on the surface. This is the second time in two years that communities in northern Guatemala have seen massive fish die-offs in their rivers. Affected communities in Sayaxche, Peten blame the palm oil industry for this mass pollution of their river. “The palm industry has contaminated our river,” Rigoberto Lima, a teacher and representative from the communities of Sayaxché, told AlterNet. 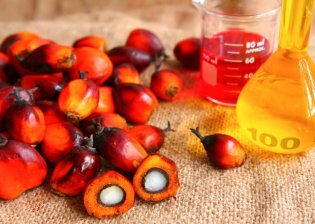 Researchers from the University of San Carlos in Guatemala City supported these accusations after confirming the high levels of agro-chemicals, including pesticides and fertilizer, used in the production of African palm oil. While Guatemalan officials and experts declared an environmental disaster, community members and non-governmental organizations use a different term: ecocide. This denial represents a broader issue of governmental compliance with foreign industries and neoliberal markets at the expense of local communities and habitats. As Juan Castro from the Association of Mayan Lawyers argues, this case exposes the lack of oversight on the palm industry. This statistic ignores the indigenous populations that live on the land, and demonstrates the historic unequal land distribution that has plagued Guatemala since the Spanish conquest. Today, nearly 85 percent of land is owned by 3 percent of the population. According to Byron Garoz from the Guatemalan organization IXIM Center for Rural Studies, palm oil production has grown nearly 270 percent in Guatemala since 2006 to the cost of its inhabitants, land, water sources and food supplies. According to farmers, areas that are under cultivation of African palm are incapable of producing other crops because of the invasive root structure of the African palm. In effect, all land that now hosts palm oil plants will soon be deemed infertile long-term. As palm production has expanded into the region, small farmers have been forced from their land become more and more reliant on the rivers for their survival.